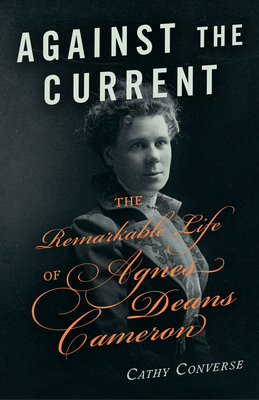 The first book on Agnes Deans Cameron, BC's first female principal, itinerant traveller, and journalist.Agnes Deans Cameron was an extraordinary woman who was ahead by a century. Born in Victoria in 1863, she was the first female school principal in the province, but she worked tirelessly to achieve work equality and voting rights for women. One of Canada's most well known writers of her time, she put western Canada on the map through her writing, which was published internationally including in the Saturday Evening Post. She was also a trailblazer in sports, becoming the first "Lady Centurion" in the West.A consummate trailblazer, in the summer of 1906, Cameron travelled 10,000 miles down the Mackenzie River and out into the Beaufort Sea--something no other European woman had done--in one short season.Cameron was named one of the top 150 most significant individuals in the history of the province of British Columbia. This is the first book commemorating her life.